We’ve been back from France for two weeks now and Autumn is definitely with us. I’ve finally finished sorting and processing our photographs which naturally jog the memories and prompt a little backward reflection. The weather was great. I’m even more convinced now that the main ingredient required for a good time is good weather. Given our enjoyment of walking, cycling and generally living outside, without it we’d be pretty much screwed. 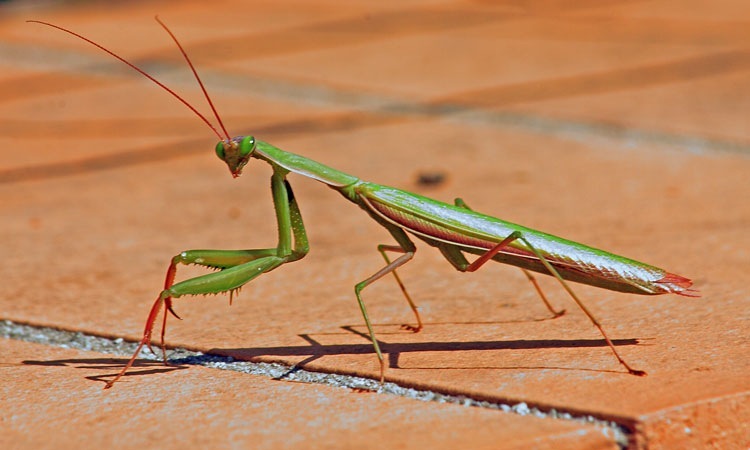 During our six weeks trip we had just two mornings that were wet and two overnight downpours. The rest of the time was dry and, for the most part, very sunny with my good ol’ favourite clear blue skies. The other advantage that settled weather brings is the ability to travel to different places with impunity. We’d been wanting to head east towards pastures new in the French Alps for a couple of years but, if there’s any bad weather about, mountains tend to attract it. No problems this year, the east was clear. We started off down the centre of France at a tried and trusted spot before striking out southeast to pastures new. 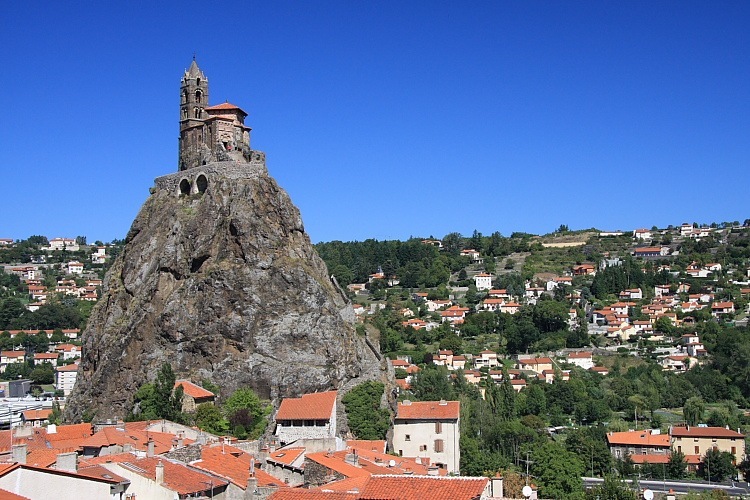 Le Puy-en-Velay and Die were fun but our original target, Barcelonnette in the Mercantour, didn’t appeal and we left immediately heading towards Digne-les-Bains in Provence. Much better. Then we tacked back west through Les Alpilles heading for Carol’s birthday lunch at Marseillan harbour where we were surprised and delighted to be joined by our friends Steve and Rosemary, along with their new tent, to help us celebrate. Excellent! They were in France anyway but it was a long way down to the south for them. Thank you both. 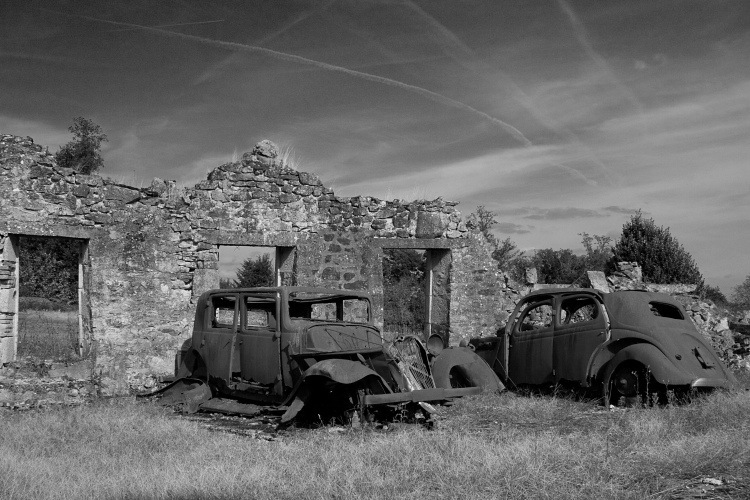 One of my strongest memories will be the martyr village of Oradour-sur-Glane on the way back north (near Limoges). It was the site of a dreadful Nazi massacre in 1944, our second such site on this trip after the Vercors Massif. The ruins of the original village of Oradour-sur-Glane have been preserved magnificently just as the Germans left them. It’s an extraordinarily emotive place that brings tears to my eyes every time I look back at the photographs. If you get the chance, visit it. Sombre wartime memories aside, we had a wonderful time and are missing the Indian summer weather. I was intrigued to find that even the French referred to it as l’été Indien. We are going to have to find some way of brightening up the coming winter.